Pipes and fittings through to 100mm. 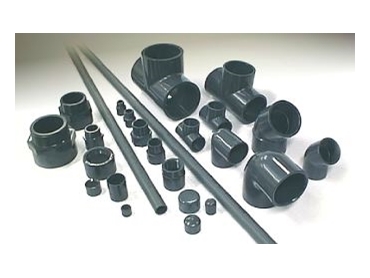 PLASTIC Plumbing Supplies (PPS) has announced additions to its family of large diameter pressure fittings with the release of its new range of industrial grey uPVC pressure pipe and fittings from 15mm through to 100mm. With the release of this new range of PPS is now able to complete its package to industry. The new range of fittings is manufactured to Australian Standard AS1477 with the pipe manufactured to the American Schedule 80 standard. Typical applications are water treatment, swimming pools, wastewater systems, cooling towers and any applications where appearance is important. For a decade now, PPS has been distributing its range of large diameter pressure fittings from 150mm though to 375mm, throughout Australia. Plastic Plumbing & Irrigation Supplies 1300 654 040.